In my quest to eliminate processed foods, I’m learning how to make even more of my own food from scratch. Like many of you, I’m busy and some recipes take a lot of prepping or time. I canned up a bunch of our heirloom October beans this fall. 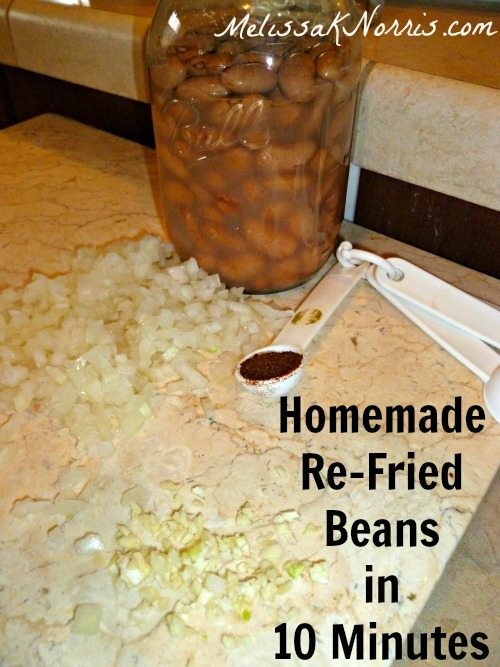 I’ve used them in soups, chili, and casseroles, but decided to try them with tacos. 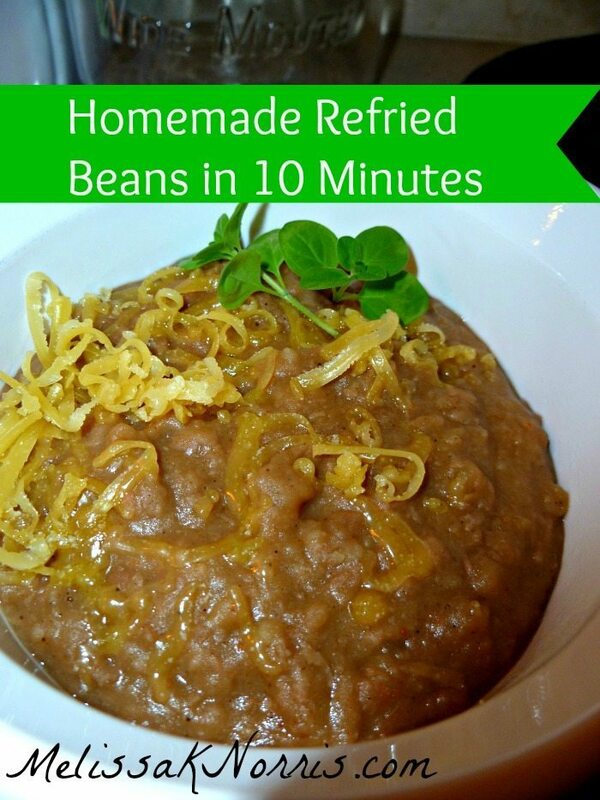 Enter my homemade refried bean recipe, that get this, only takes 10 minutes to make! While I love our Tarheel Green Beans, the versatility of October beans make them a close second as my favorite. Like our Tarheel beans, this seed came from North Carolina. 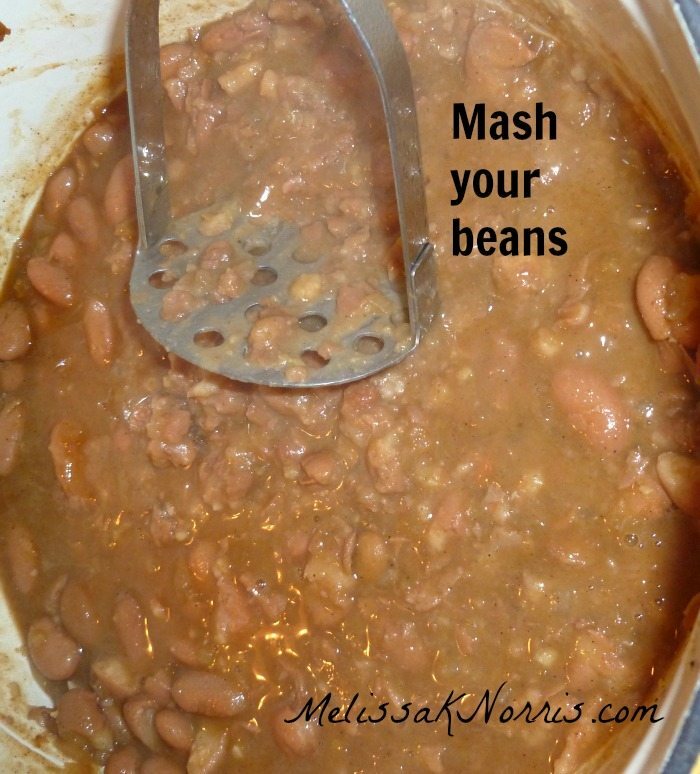 If you’re just venturing into heirloom seeds, beans are the perfect intro as you don’t have to worry about cross-pollination or fermenting when saving the seeds. Though I’m getting better, I don’t always plan out or prep our meals in advance. 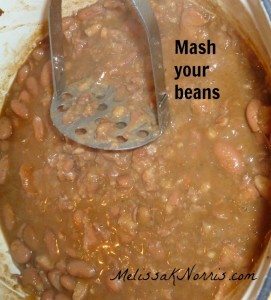 So when I find a quick recipe or easy way to do it, I love to share it with others. 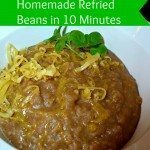 I couldn’t believe how good these homemade refried beans turned out in so little time. 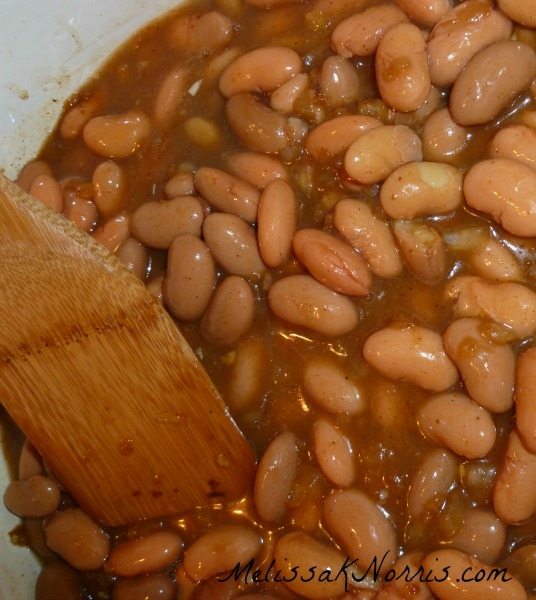 In a large sauce pan over medium heat, place a tablespoon of olive oil, bacon grease, lard, or coconut oil and coat pan. 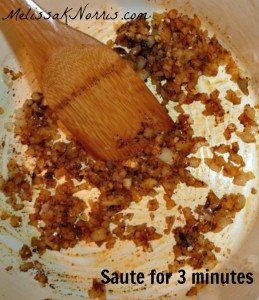 Saute onion for 3 minutes. Add garlic and spices and continue sauteing for 1 minute. Mash with a potato masher or immersion blender. I used a potato masher the first time, but you get a much smoother consistency with this immersion blender *aff link. If there’s too much liquid, let it simmer off for a few minutes. Want more easy from scratch cooking? You need a copy of The Made-From-Scratch Life. What’s your favorite garden veggie? Are you planting a garden this year? This post featured on Thrifty Thursdays.